If you have used iPhone previously and now fall in love with Samsung S8 and want to switch from iPhone to Samsung S8. Both devices are there with different operating systems. Is possible to transfer contacts directly from iPhone to Samsung S8, especially the contacts? Don't worry about your precious contacts of iPhone because there are some ways available which can help you in transferring contacts from iPhone to Samsung S8 in just one Click. Not only contact these software like dr.fone - Switch also helps you in transfer photos, videos and other files as well. We will share some not only one even top 5 ways to transfer contacts from iPhone to Samsung S8 through this guide. If you got a new Samsung Galaxy Note 8, check how to transfer data from iPhone to Samsung Galaxy Note 8 easily. dr.fone - Switch tool is available from Wondershare to help you transfer contacts and any other types of files from iPhone to Samsung S8 directly. This software is fully compatible with all iPhones that’s why there is no need to use iTunes while using this software. 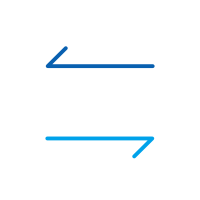 It can transfer data between two cross platform devices directly. You can transfer data/contacts from iPhone to Samsung S8 directly with dr.fone - Switch in real time. Transfer Contacts from iPhone to Samsung S8 Directly in 1 Click! Easily transfer contacts from iPhone 6s/6/5s/5/4s/4 to Samsung Galaxy S8 without any complication. First you have to download the program on your computer from the download link above and then install it. When the installation processes is finished, launch the program and click on “Switch”. 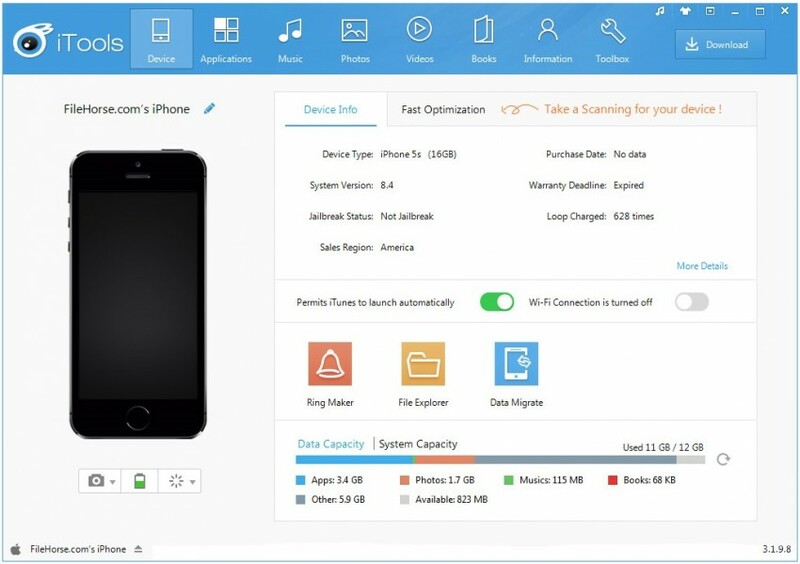 Note: If you have no computer at hand, you can also get the dr.fone - Switch (mobile version) from Google Play, with which you could log into your iCloud account to download the data, or transfer from iPhone to Samsung S8 using an iPhone-to-Android adapter. Now connect new Samsung Galaxy S8 and iPhone with computer. Both devices will be detected automatically. After detecting your devices Choose “Contacts” from the list of items and the click on “Start Transfer”. Note: Beside contacts you can also transfer photos, messages, music, videos from iPhone to Samsung S8 using dr.fone. Make sure iPhone is at left and Samsung S8 in the right side. Transfer contacts from iPhone to Samsung S8 will start. This process will be finished in some time as depending on how many contacts there are on your iPhone. iCloud cloud service is there already available on your iPhone from Apple. If you are using Apple from a long time then you may know about this service. ICloud will sync all of your contacts from iPhone cloud and you can transfer them to Samsung S8. Just go on your iPhone and login to iCloud account. After logging into account go to sync contacts to cloud and then go to computer and browse iCloud.com now. Download all of your contacts from site to your computer and transfer them to your Samsung Galaxy S8. Dropbox cloud service is available for all operating system devices such as IOS devices, Android and desktop as well. 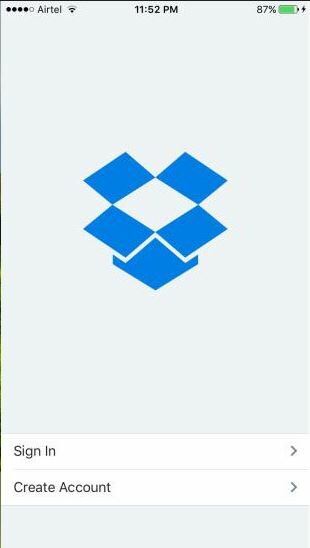 Using Dropbox you can transfer contacts from iPhone to Samsung S8 easily. This way requires you to have internet and Dropbox installed on the both devices. First install Dropbox on your iPhone and backup contacts. Then install Dropbox on android device and download contacts on your Samsung S8. Google can also help you transfer contacts from iPhone to Samsung S8 as well. 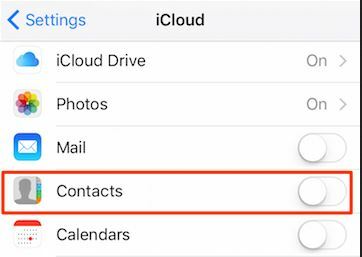 If you are previously using Gmail id on your iPhone please go to the setting on iPhone and sync all of you contacts to the Google contacts. 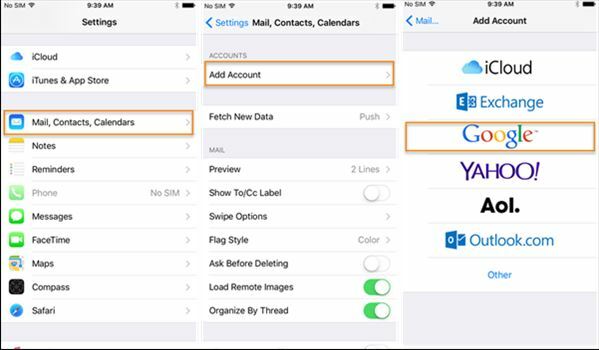 After sync process is finished your all contacts will be transferred to the Google contacts. Then login using the same email id and password on your Samsung Galaxy S8 and all of your iPhone contacts will be there in some time. In this tutorial we told you about the top 5 ways to transfer contacts from iPhone to Samsung galaxy S8. In these all 5 ways I would like you to suggest you to go for dr.fone - Switch because it has so many benefits. First it works totally offline and directly transfer data between cross platform devices. 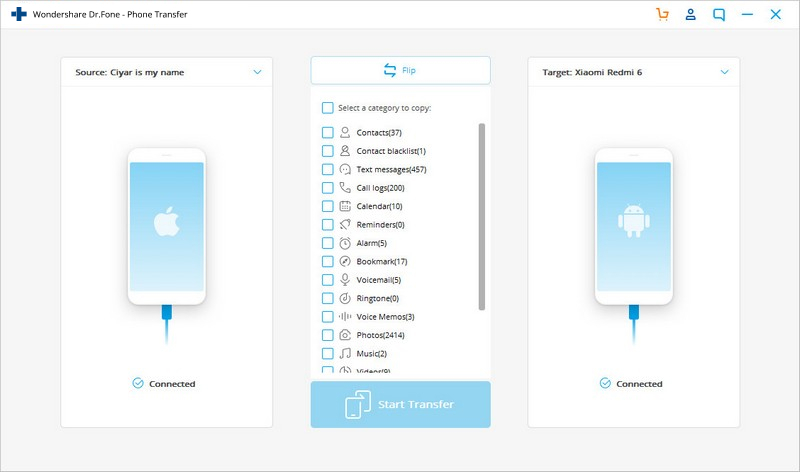 Second thing is that it supports all devices like iOS and Android so there is no need to first backup contacts to computer and then transfer contacts to Samsung galaxy S8 while using dr.fone - Switch. [Full Guide] How to Export Contacts from Android? This post is specifically tailored to make you familiar with the easiest and the best possible methods to export contacts from Android phone. If you are not sure how to transfer data from LG to Samsung, then this article is a must read for you. Learn the top 4 ways to transfer data from LG to Samsung S8. It's not difficult to copy contacts to SIM card when you have this powerful Android Manager. Read this article and have a try. Read this tutorial and choose your best way to convert WMV to Android, and enjoy to play WMV on your Android phone anywhere. How to transfer motorola to Samsung Galaxy S8? Don't worry. We are going to share detailed guide about how to transfer Motorola to Samsung Galaxy S8. Learn how to transfer music from iTunes to Android by following this stepwise tutorial. We have provided an easy way to sync iTunes music to Android right here.